Addie's Angels and St. Tammany Parish School System working together with Northshore High School and Patent Dive. THE 9TH ANNUAL 'WALK WITH ANGELS' WAS A HUGE SUCCESS! THANK YOU SO MUCH TO EVERYONE WHO CAME OUT TO SUPPORT US, AND TO THOSE WHO MADE CONTRIBUTIONS. TOGETHER WE RAISED OVER $8,000.00! CLICK HERE TO SEE PICTURES OF THE EVENT! If you missed Addie's Angels on Fox 8 Morning Edition, click the image above! On November 3, 2009 we were blessed with the birth of our baby girl, Addison Claire Gallagher. Addie, as we lovingly refer to her, was born with only a portion of her left arm, extending just below her elbow. 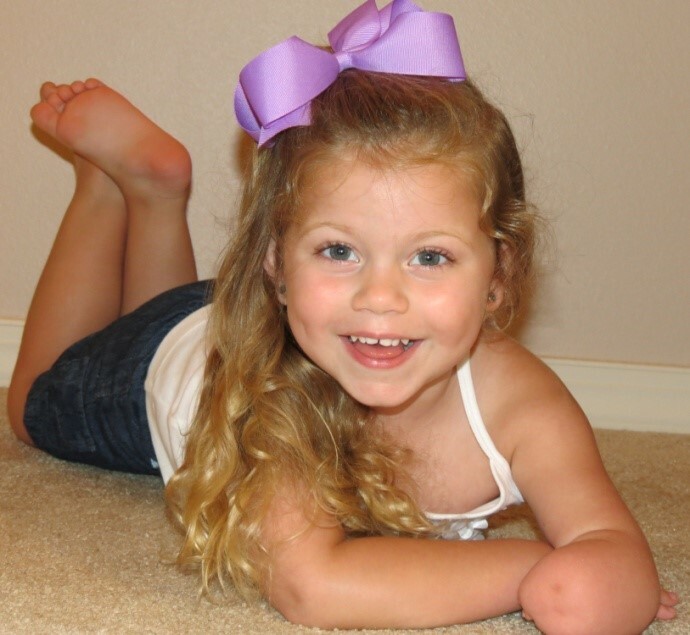 Addison was born with what is known as Amniotic Band Syndrome (ABS), which occurs when an amniotic band wraps around part of the fetus, cutting off blood flow. The effects of ABS are wide ranging, in Addie's case a band wrapped around her left arm and deterred the ability for her arm to fully develop. Shortly after her birth we decided to start a non-profit organization in her name, this is how Addie’s Angels, Inc came to exist. ADDIE'S ANGELS, INC. is a non-profit organization that serves individuals in the Greater New Orleans Metropolitan area, and beyond. We provide services in a variety of ways, specifically (but not limited) to children who were either born without one or both of their arms, or who have lost the use of their arms through some sort of accident. If you know of anyone who could benefit from the services of this organization, please let us know.